A face that looks full and even a bit plump is typically seen as looking more youthful and attractive. Facial dermal fillers are a specialty here at Epitome Med Spa and we know how to use them to create the most attractive possible outcomes. No two faces are the same, so we work hard to customize our approach so that our clients get the most out of their treatments. Facial fillers are available in large number of brands, but the most popular choices share the same active ingredient. Hyaluronic acid (HA) is a naturally occurring substance that is found in the human body in such areas as the joints and eyes, and has been used to treat arthritis as well as eye injuries and skin problems. When injected into the lips or cheeks it can create a dramatically fuller and more attractive appearance if properly employed by aesthetic professionals. The results typically last for approximately three to four months, but there is some evidence that HA may help the body to manufacture collagen on its own. That may lead to longer term improvements, though repeated injections are usually needed to fully maintain facial plumpness. In addition to HA-based fillers, there are also a number of synthetic products on the market that may be best in certain cases and may last somewhat longer. Whatever your needs, we’ll do our best to create a strategy that will work best for you individually. 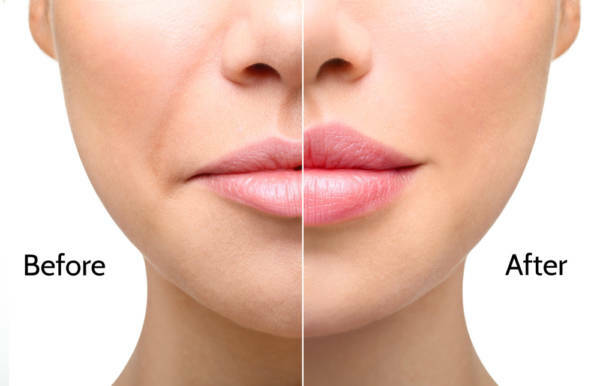 If you’re wondering if facial fillers for the lips or cheeks are for you, then the first things to do is phone us at 818-963-8693 or reach us via our contact page.